Ecogy Virgin Islands is a 120 kW roof-mount serving Sugar Estates, a senior citizen affordable housing community developed by a public-private partnership between The Michaels Development Company and the Virgin Islands Housing Authority. The project will help offset energy at the independent living community with clean locally harvested power and save an estimated $300,000 and countless gallons of diesel fuel. Ecogy Delaware II consists of a 1.15MW ground-mount for the Wilmington Housing Authority, the largest direct provider of affordable housing in Delaware. This project offsets energy costs at multiple high-rise buildings which couldn't access solar. The project consists of hiring and training WHA residents all while WHA is guaranteed to save over a million dollars over the life of the project. The project was selected as a model to expand low-income access to solar in the urban environment through the Department of Energy Solar In Your Community Challenge. Ecogy Lyndhurst is a 650 kW project consisting of 8 carport canopies and a large roof-mount system serving the Town of Lyndhurst, NJ and sited at their town recreation center. Ecogy Longwood is a 1.57 MW ground-mount system for Longwood Gardens, the largest botanical garden in the U.S. Using a special mounting system, we were able to avoid stripping the land, altering the topography, or affecting Longwood’s storm water plan. Partnering with Longwood allowed for the development of a special meadow seed mix to be planted between rows to minimize storm water runoff, maximize biodiversity and create asthetic appeal. Ecogy Continuum is a 248 kW carport-canopy system on top of a parking garage serving the Provident Resources Group Inc. and the University of Florida. The energy is sold directly to Gainesville Regional Utilities through a Feed-in tariff program. Ecogy CT is a 210 kW system for Temple Beth El, a local synagogue in Stamford, CT. Quote from Steve Lander, Executive Director “This system will save 70 percent of our energy and relieves pressure on the grid,” The solar project is dedicated to Norma Mann, a woman who spent decades as a leader and congregant at the synagogue. Ecogy developed its first community-solar ground-mounted array in Strafford, VT. Power generated from the array benefits the local community and provides savings to Newton School, Barrett Hall, Morrill Library, and the United Church of Strafford. Ecogy DC is a 207 kW roof-mount project for a newly constructed Howard University student dormitory in Washington DC. The project utilizes SRECs to provide cost savings for the owner of the property, Provident Resources Group Inc.
Ecogy developed a series of solar energy systems with Leon N. Weiner & Associates, one of the nation's leading affordable housing developers. The portfolio consists of 20 rooftop systems and 1 ground-mount system. Ecogy Silber 1 is a 84 kW roof-mount project hosted at a local commercial office space in Gainesville, Florida. The renewable energy is sold directly to Gainesville Regional Utilities through a feed-in-tariff program. Ecogy Silber 2 is a 157.5 kW roof-mount project hosted at a local commercial office space in Gainesville, Florida. The renewable energy is sold directly to Gainesville Regional Utilities through a feed-in-tariff program. 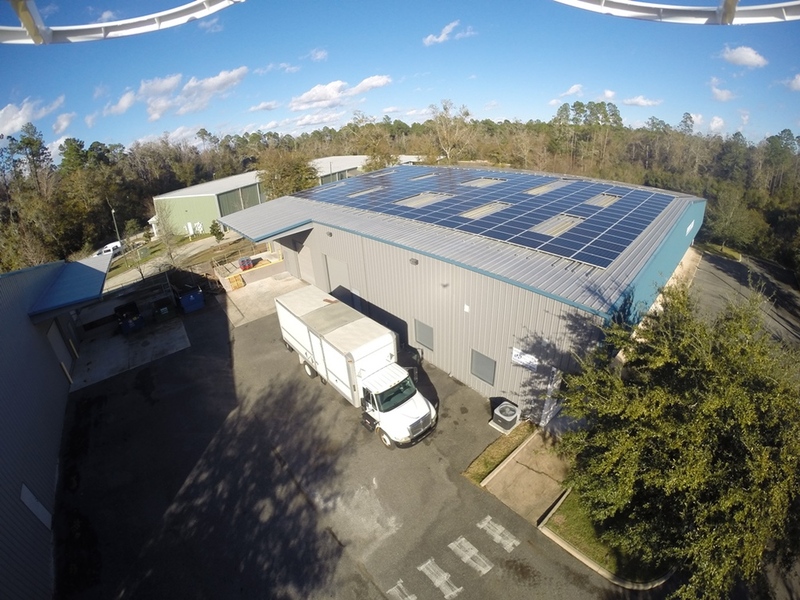 Ecogy Cheshire is a 126 kW roof-mount project hosted at a local HVAC equipment warehouse in Gainesville, Florida. The renewable energy is sold directly to Gainesville Regional Utilities through a feed-in-tariff program. Ecogy Marchesini is a 157.5 kW roof-mount project hosted at a local retail space in Gainesville, Florida. The renewable energy is sold directly to Gainesville Regional Utilities through a feed-in-tariff program.